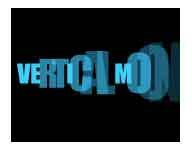 This tutorial will show you how to insert a Flash movie into Freeway. 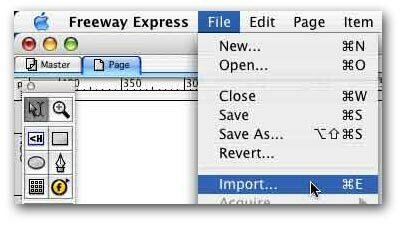 This method should work for both Freeway Express and Pro. 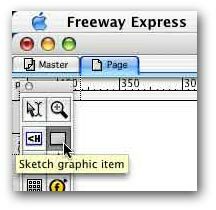 Choose the "Sketch graphic Item" tool from the tool palette. 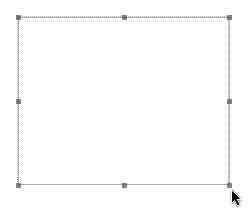 Draw a HTML box with the Sketch graphic item tool. This will be where the Flash movie will be inserted into Freeway. Choose "Import..." from the "File" menu and choose the Flash (.swf) file you want to insert.